I apologise for my lack of content lately, I have had a lot going on in my professional life lately, which has been making me feel unable to indulge in reading and writing like I usually do. However, I made some time to talk you you all about my February books! So without further adieu, here is my February Wrap-Up! Boy On a Wire by Jon Doust – 2/5 stars – This book wasn’t really for me, it started out strong and then fell flat towards the middle. I found it hard to keep track of what was happening throughout. The House of Second Chances by Esther Campion – 3/5 Stars. – I was sent a copy of this book from the lovely people at Hachette Publishing. It isn’t my usual type of book, but I was greatful for the change of pace and for the slower style. The Secret Runners of New York by Matthew Reilly – 5/5 Stars. – I was sent an Advance Reading Copy of this book by MacMillan. I was so, so shocked to receive a copy of this one, and so greatful! I am a huge Matther Reilly fan and this book was no exception! Wonderfully written and action packed! The perfect entry level Reilly novel! When The Light Went Out by Bridget Morrissey – 4/5 Stars. – I was given a review copy of this book from NetGalley, and I stumbled across it on my Kindle and thought, ooh sounds interesting… and it was! The writing style is so easy to read. It definitely had some Pretty Little Liars and Broken Things (Lauren Oliver) vibes, but a good read all the same! Soo that is my February wrap-up! I was so excited when I realised that I had read five books! I thought my number would have been much less due to my busy life and the fact that the month is so short! Wow, how is it December already? Where has the year gone? And how did November sneak by like it did!? I started November with the challenge of Reading THESE 5 books, I got through some of them, didn’t finish others and also read a few that weren’t on my list… because you know, impulse reads… Anywho, lets begin! Here are the books I read this month. This book as been on my TBR for what feels like forever, and I think leaving it so long, to start reading is what made me enjoy it so much? I found it completely different to any Dystopian Young Adult novels that I have read recently. Bracken’s writing style is free-flowing, engaging and gives you the chance to imagine things for yourself. Even if those things are absolutely horrific. I enjoy the premise of this story, segregating people, well children, because of colour. Indirectly this feels like it is a big middle finger to racism within the wider world. I can’t wait to read more of this series, I want to know more about the colours and what they can do, how they worked out who was which colour and more information on the ‘sickness’ that made the children this way! I wanted to read this book as soon as I knew it was being published. I love Lauren Oliver as an Author. Her writing style draws me in and doesn’t let me go until I finish the last page. This book was no exception. I fell in love with the Nyxia triad from the second I read the first book in this trilogy (Nyxia). This trilogy looks at teenage exploitation, inter-stellar space travel, manipulations by multimillion dollar companies, loyalties, love and loss. And that list doesn’t even scrape the surface. The thing that constantly hits me, while reading this book is that these people we are reading about are children, they are 16 and 17 and dealing with things that I, at 26 couldn’t even think about. Let alone face and complete. But that is due to their conditioning and attempted brainwashing. My spoiler filled review and ramblings can be found here! When I started this book, I honestly couldn’t remember all that happened in its prequel, WarCross, but that didn’t matter. From the first page you are thrown back into Emika’s world and there is plenty of time to catch up. This book was much darker than Warcross, it sees Emika much more isolated and interacting with new people. It also sees the coming of the end of the world as she knows it. As always, Marie Lu has written a masterpiece, something easy to read and something easy to see may happen, as technological advances in our current world begin to go crazy! My spoiler filled review and ramblings post can be seen HERE – Read if you dare! And that brings my November Wrap-Up to an end. I managed to read 4 books this month, still not as many as I would like, but hey, at least I read 4! And to be honest, I really enjoyed these 4 books that I completed! Keep an eye out for my next post, Books That Let Me Down This Month. 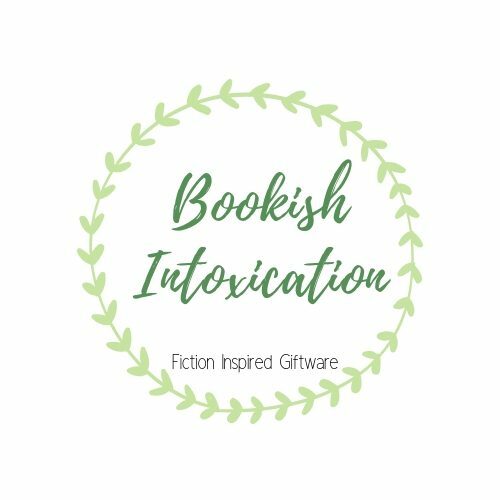 This post will fill you in on books that I started and didn’t finish and my view on DNFing books.